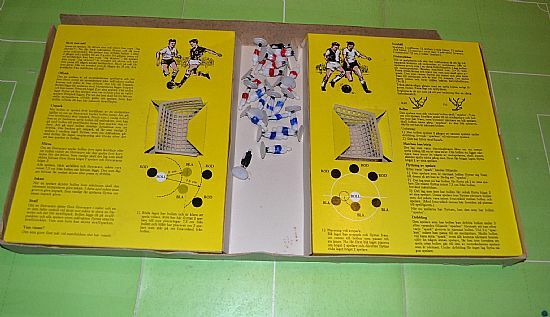 The Swedish version of the ubiquitous Waddingtons Table Soccer game. 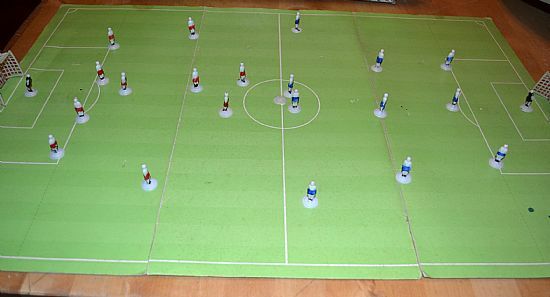 Different box and pitch, same playing pieces. Very nicely put together. Lovely box, same Waddingtons image but a much nicer overall design. Not the most original name though! 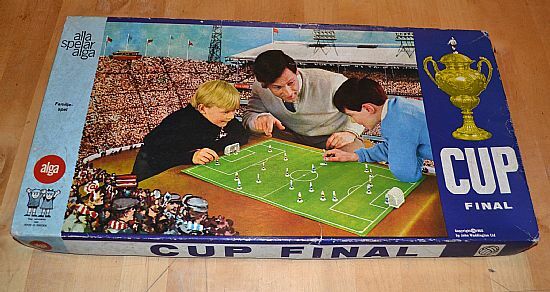 Nice box inner with Swedish rules, same overall design as the UK versions. Are you tiddlywinks in disguise? 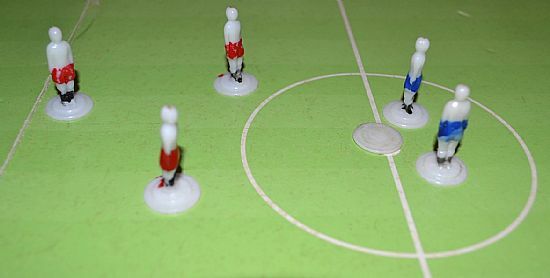 The ref's about to blow his whistle to start this landmark game.